“To any vision must be brought an eye adapted to what is to be seen” (Plotinus, Enneads, 1.6.9). Once again I dreamed of Alexandria. I woke as if from fever with memories of crooked streets, an empty Mediterranean sky, a woman with black eyes, pitiless and beautiful. Although it is a place I have never visited, although the true Alexandria no longer exists, I remembered the city and winced from the memory as though from fire. 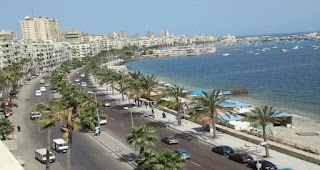 Alexandria, the cradle of Egyptian and Hellenistic civilisation. Alexandria, the city created ex nihilo by a Mesopotamian boy who wanted to be Greek, who saw in Greece a universal spirit that could unite the far-flung peoples of a conquered empire. He never saw the city built. Having mastered the world, Alexander gave up his spirit and was laid to rest in glass at the crossroads of the city that bears his name, a city he had never seen except in dreams. Alexandria, city of Cleopatra, in whom nature’s infinite variety became wildly, ravishingly articulate. Even her dying was a triumph, not so much a death as a work of art. Cleopatra has immortal longings in her: she sheds her life as easily as a garment: by an act of will and passion she turns herself freely into fire and air (Shakespeare, Antony and Cleopatra, act 5). She was “the last of a secluded and subtle race, a flower that Alexandria had taken three hundred years to produce and that eternity cannot wither” (E. M. Forster, Alexandria, 31). Alexandria, where many worlds converged. Egypt and Greece, philosophy and Christianity, the library and the mystery cults, magic and exegesis. You can keep the pompous pretensions of Rome; you can have the sun-scorched fanaticisms of Jerusalem – only give me Alexandria with its milder climate, its unassuming airs, its “smooth and waveless harbours” (Eusebius, Ecclesiastical History, 7.21). At the University of Western Sydney the old convict buildings rest sedately on the banks of the Parramatta River. I take coffee in the courtyard and remember Alexandria. The student clubs are peddling their varied ideologies under a rainbow of pop-up marquees. A DJ is pumping music into the drowsy heavens. I am adrift on a sea of students. European faces, Aboriginal faces, faces from the Middle East, Asia, Africa, the Pacific Islands. The Lebanese girls go by with their phones held high, proud and beautiful with their shimmering scarves and big designer handbags. There goes the chaplain, a cassocked Irish Catholic priest, head bent in conversation with a Latin American boy who looks very lost in the way that only the very devout can ever be. A girl in blue jeans meets my eye. Do I know her? Have I seen her before? No, it is only that she has Balkan eyes, like mine. I remember her without ever having known her, as I remember Alexandria. In the university courtyard I drink my coffee, sitting still while the whole world moves around me. There is a magic here: it is another Alexandria. Just now it would not surprise me to see Plotinus and Origen go by, locked in conversation about the soul with their teacher Ammonius. It would not surprise me to see Philo coming out of the library with Greek scrolls tucked under his arm, or Hypatia sitting at the cafe eating olives and discussing mathematics and astronomy with a huddle of her star-struck pupils. Today, I am told, there is little reason to visit Alexandria, there is nothing there to see. It is a big industrial city, homogeneously commercial, modern, monotheistic. Its cosmopolitan history is erased. Once a place of many languages, now the signs are all in Arabic. The Jewish population, once 50,000 strong, is said to be less than 50 now. In 2002 the Egyptian government opened a huge new library, big enough to hold 8 million books. They did not blush to dub this monument the Bibliotheca Alexandrina, though the acquisitions funding was paltry compared to the spectacular building costs. The novelist Lawrence Durrell lived in the city in the 1940s and wrote his Alexandrian Quartet about the people there. When he visited again decades later he called the experience “depressing beyond endurance.” Of the old Alexandria nothing was left except the rubble of minor antiquities propped up in museums. “Only the climate, only the north wind and the sea remain as pure as when Menelaus, the first visitor, landed upon Ras-el-Tin three thousand years ago” (E. M. Forster, Alexandria, 120). But a city is more than buildings. A city is a spiritual thing. When Rome was sacked, Augustine consoled his bewildered compatriots: “Perhaps Rome isn’t destroyed. What is Rome, after all, but Romans?” (Augustine, Sermon 81.9). Though Alexandria is gone, though I will never see the streets that I have wandered in my dreams, the true city is not lost. Sometimes I have glimpsed it. Today I saw it, if only for a moment, in a courtyard in western Sydney on the bank of the Parramatta River. The girl with Balkan eyes had a silver anklet. It jingled on her sandalled foot as she went by.